I have a for set up with drop box intergration. I have a few zip files that I am testing it out on. The upload seems to be getting stuck at 99%, I am also getting submissions through with no upload. I have set the upload to required but they are still getting through. I have noticed the the files that are not geeting through are zip files with quite long and complicated names. Please help me sort this, I don't want to go back to yousendit! Hi, We apologize for inconvenience caused to you by this issue. 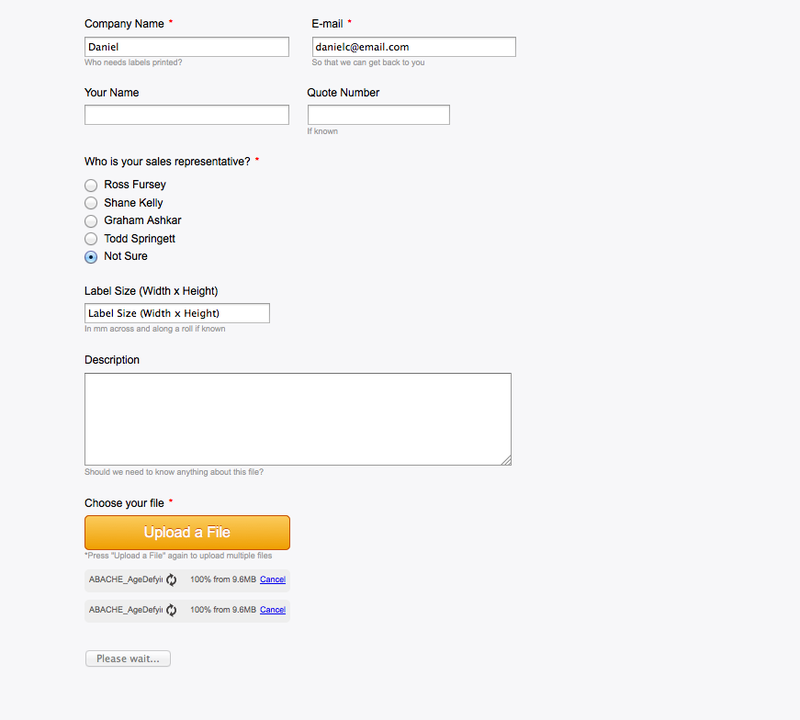 I have cloned your form and was able to upload the file without any problem. Please check on your internet connection and also lets know the size of the files you are trying to upload?. Please also note that there is limits of uploads accepted depending on the account you have and they are no different whether you use the Dropbox integration or not. Free account type users have 100MB of upload space. Premium users have 10GB of upload space. Professional users have 1TB of upload space. Since Free accounts are limited to 100MBs space and therefore since you have already used about 36MB you can only upload about 64MB. Although,you can delete your submissions with uploads to gain your space back. I just tried clearing all messages, I am now trying to upload two files. Each around 20mb. The upload percentage shoots to 99% in a matter of seconds which doesn't sound right then just sits there for ages. Hello Ultralabels. Have you tried clearing your browser's cache? Select how much history you want to clear: Click the drop-down menu next to Time range to clear to choose how much of your history Firefox will clear. Next, click the arrow next to Details to select exactly what information will get cleared. Your choices are described in the What things are included in my history? section above. Finally, click the Clear Now button and the window will close and the items you've selected will be cleared. Thanks for the replies but..
As I mentioned I am on a mac, also I don't expect my clients to have to clear their browsers cache to upload files. These seem more like jotform bugs, I have never had problems like this with yousendit dropbox. We are planning to upgrade to the latest version of the Dropbox API soon. That should fix these issues. Can you please email me after the upgrade? Hi, thank you for the updated response. As previously done, there will be announcements both here on the support forum and on the JotForm Blog when such undertaking happens.